On Aug. 29, 2016, the Centers for Medicare and Medicaid Services released its proposed 2018 Notice of Benefit and Payment Parameters. The proposed rule was accompanied by a fact sheet and CMS blog post. CMS also released on Aug. 29 a draft actuarial value (AV) calculator and AV calculator methodology for 2018. The "payment notice," as it is called, is an annual CMS omnibus rule that pulls together in one place all the major changes the agency intends to implement for the next plan year for the marketplaces (in particular the federally facilitated exchange (FFE) and SHOP marketplaces), the premium stabilization programs, and the health insurance market reforms generally. Have you accomplished a case management or process improvement project? Have you developed an innovative program that has been a valuable resource to your patients, facility or agency? Tell us about it! The ACMA Poster Session Committee invites you to submit a poster for the 2017 ACMA National Conference April 20-23, 2017, in Washington, D.C. The Poster Session provides an informal but professional forum to present and discuss your organization's advances in health care delivery system case management. Applications must be received by October 21, 2016. You've heard that the 2016 release of this popular online learning system offers an updated curriculum and now features two comprehensive course libraries — one for case managers and one for physician advisors. You've read about the updated content, streamlined navigation and interactive training modules. 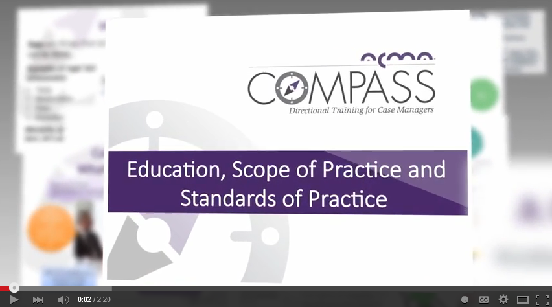 Now see it for yourself in the new Compass informational video. CMS started awarding five-star ratings to hospitals based solely on HCAHPS scores in April of last year, and one year later, a research letter published in JAMA Internal Medicine claimed the patient satisfaction-based ratings actually are associated with patient outcomes. However, a recently released study from Quantros produced contrary findings. According to Quantros's research, that letter's findings are "misleading and may actually steer patients to hospitals with poor clinical outcomes," a statement reads. While mental health advocates are pleased that a presidential candidate is discussing behavioral health reform and say that Hillary Clinton's recently released plan is a good foundation, they worry the plan lacks implementation details and a funding source, which has stalled legislation in Congress. Clinton's plan highlights early diagnosis and prevention; integrating mental and physical healthcare and enforcing parity; access to housing and job opportunities; suicide prevention; prioritizing treatment over incarceration; and expanding brain and behavioral research. Researchers have found that hospitals with the highest rates of readmission were actually more likely to show better mortality scores in patients treated for heart failure, COPD and stroke. In fact, a study by a group of Johns Hopkins physicians and researchers suggests there is a problematic relationship between the data on mortality and hospital readmissions used by the Centers for Medicare and Medicaid Services to score and reimburse hospitals. The CMS is moving forward with a payment increase to skilled-nursing facilities, inpatient rehabilitation facilities and hospice care that also sets new quality measures. In a final rule, the agency is more than doubling the increase skilled-nursing facilities received last year, which would amount to an $920 million bump. Last year, they received only a 1.2 percent Medicare rate increase, leading to $430 million in higher payments over the prior year.